The Basic Metabolic Panel (BMP) is a frequently ordered panel of tests that gives your doctor important information about the current status of your kidneys, blood sugar, and electrolyte and acid/base balance. Abnormal results, and especially combinations of abnormal results, can indicate a problem that needs to be addressed. The BMP is a group of 8 specific tests that have been approved, named, and assigned a CPT code (a Current Procedural Terminology number) as a panel by Medicare (USA). Since the majority of insurance companies also use these names and CPT codes in their claim processing, this grouping of tests has become standardised throughout the USA. Both increased and decreased levels can be significant. The concentrations of sodium and potassium are tightly regulated by the body as is the balance between the four molecules. Electrolyte (and acid-base) imbalances can be present with a wide variety of acute and chronic illnesses. Chloride and CO2 tests are rarely ordered by themselves. BUN and creatinine are waste products filtered out of the blood by the kidneys. Increased concentrations in the blood may indicate a temporary or chronic decrease in kidney function. When not ordered as part of the BMP, they are still usually ordered together. 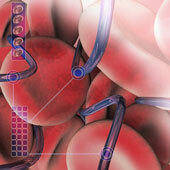 The BMP uses a tube of blood collected by inserting a needle into a vein your arm. Ask your doctor whether you should be fasting for 10 to 12 hours prior to the blood draw. Depending on the reason for ordering the BMP, it may be drawn after fasting or on a random basis. The BMP is used to monitor hospitalized patients and to monitor patients with some known conditions, such as hypertension and hypokalemia. If your doctor is interested in following two or more individual BMP components, she may order the entire BMP because it offers more information. Alternatively, she may order individual tests when monitoring, such as a follow-up glucose, potassium, or calcium, or order an electrolyte panel to monitor sodium, potassium, chloride, and CO2. If your doctor wants more information, she may order a Complete Metabolic Panel (CMP), a group of 14 tests that includes the BMP. The BMP is often ordered in the hospital emergency room setting because its components give doctors important information about the current status of your kidneys, electrolyte and acid/base balance, blood sugar, and calcium levels. Significant changes in these test results can indicate acute problems, such as kidney failure, insulin shock or diabetic coma, respiratory distress, or heart rhythm changes. The test may be ordered when you see the doctor for a routine health exam.